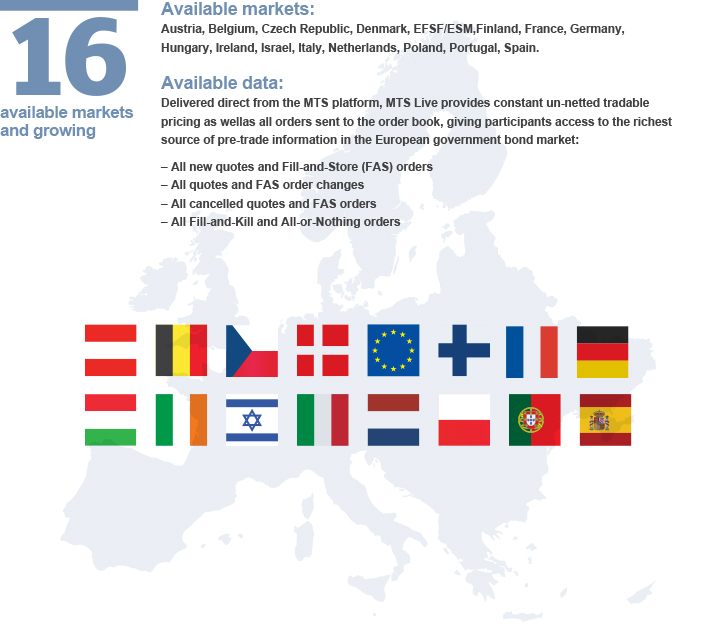 MTS Live is an ultra-low latency data distribution facility, offering a complete and un-aggregated order book with every visible price and order for the most liquid bonds traded on the MTS Cash markets, the leading interdealer market for European government bonds. MTS Live users can access over 30,000,000 quotes and orders generated by the MTS trading community each day on bonds, bills and linkers from a total of 16 domestic markets. MTS Live is available exclusively to MTS market participants.